Anchor text – the actual text you apply a hyperlink to – is one of the most important elements of a link. Yet, it is also frequently overlooked. While it might seem like a small thing, anchor text can actually play a huge part in how many clicks a link gets, and can even affect your site’s search rankings. For that reason, you’ll want to choose your anchor text with care. This involves considering the best keywords to use, deciding how many words to include, and determining how to integrate them into your content effectively. It’s worth taking the time required to do this task right, and to look for some tools that can help. In this article, we’ll explain what anchor text is, discuss why it’s important, and then show you how to optimize it effectively. Let’s get to it! These represent just a small selection. The one you’re likely to use most often is the keyword link, where the anchor text matches a specific phrase or term. No matter its form, anchor text serves several important functions. For example, using clear and descriptive anchor text helps your audience understand the relevance of each link, and makes them more likely to click through. Using optimized anchor text is also an important factor when it comes to your site’s Search Engine Optimization (SEO) rankings. This is because search engines will look at the relevancy and frequency of both links and anchor text when determining a page’s ranking. Now that we’ve looked at the importance of quality anchor text, let’s discuss how to actually get it done. The following tips will help you optimize your anchor text to its full potential. There is no golden rule for how long anchor text should be, but you should aim to keep it short and to the point. It should also be descriptive, and relevant to the linked content. As we mentioned, search engines track the relevance of anchor text, so you’ll want to make sure you’re consistent in that regard. This example has a few problems. It’s not clear what the link points to, the link is too long, and it appears more spammy than helpful. The key is to look at your links like a user would, and evaluate whether you would find them compelling or distracting. One simple yet common mistake is assuming that you should re-use the same anchor text over and over. This is also known as ‘over-optimization’, where a keyword is used as anchor text multiple times in an effort to boost its relevancy score. In reality, since Google introduced their Penguin update, over-optimized sites are penalized, since anchor text diversity now counts towards your SEO ranking. The solution is simple: don’t use the same anchor text too often. Only use your keyword anchor text at a few important points, such as in your introductory and closing paragraphs, rather than repeating it constantly. Bear in mind that you don’t have to use exact keyword matching either, as Google does recognize similar terms. In addition, try to avoid using the same combination of anchor text and destination link throughout your content. If you have already over-optimized your site, you may need to go through it and remove or edit links to bring down the density. 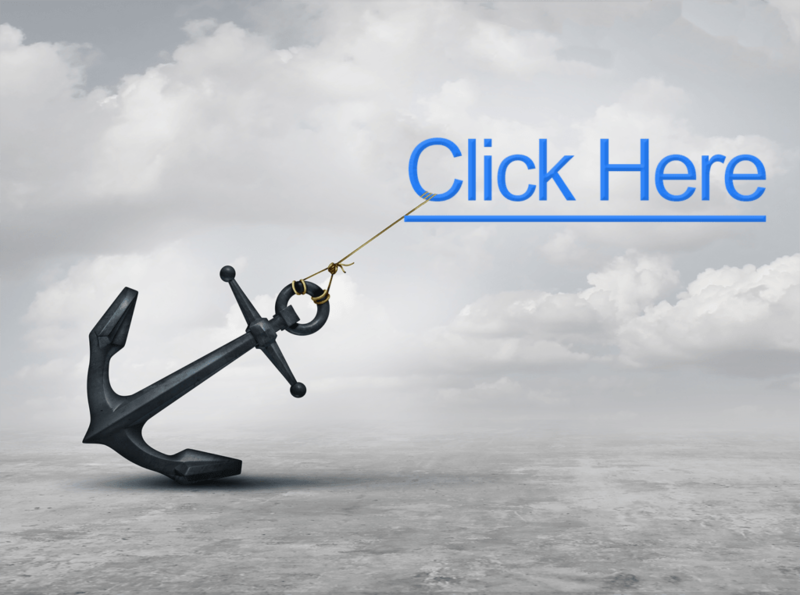 The ultimate goal of anchor text is to get people to click on the link. This may sound obvious, but it’s worth keeping in mind. You should therefore try to use keyword text that is targeted towards your audience. One way of doing this is by performing keyword research, which we’ve discussed in the past when talking about blog post optimization. By using a tool like Google Keyword Planner or Search Volume, you can see the average number of monthly searches for certain keywords. More importantly, these tools show you related keywords, which helps you learn what your target audience is searching for online. A great way to see how well your chosen anchor text keywords are working is by tracking your links using Pretty Links. By doing this, you can see which links are clicked most often, and which ones aren’t. You can then use this information to tweak and optimize your links, to make them more enticing and valuable to your readers. Choosing the right anchor text is almost as important as picking the right links to begin with. By optimizing your anchor text, you can create a better experience for your users, and improve your site’s SEO rankings. Use concise and descriptive terms. Use audience-targeted keywords, and track them using Pretty Links. Do you have any questions about how to optimize your anchor text? Let us know in the comments section below!